Known for high grade sterling and natural stone, Handpicked is a locally owned, family managed business. They pride themselves on having unique pieces and offer embroidery and monograming for free. "Over 30 years ago, HandPicked Sterling Silver Jewelry, Monogram and Gifts originated in a small village in Mexico where founder, Melanie Mauldin, began working with families of silversmiths to hand-pick unique jewelry that she brought back to the United States to sell at home and retail shows. Her vision to unite these skilled artisans with her own country helped build not only her own family business but the businesses of these silversmiths that we continue to nurture relationships with. Melanie also handpicked her successor when Sonya Ingram bought HandPicked in 2014. Having managed the company for many years, Sonya's love for the business coupled with her passionate spirit and innovative vision, made the transition a natural and fluid element of the HandPicked legacy. 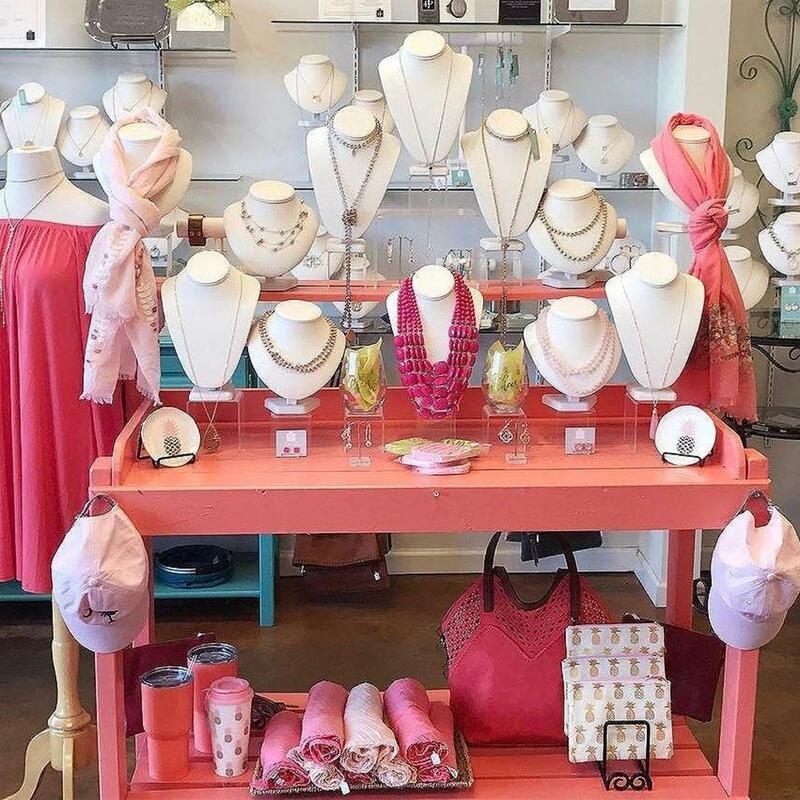 Now with 18 stores throughout the Southeast, HandPicked continues to take pride in being a locally owned, family business dedicated to providing each customer with an uplifting shopping experience where enhancing their personal style is easy with original designs in sterling silver, semi-precious stone jewelry, fashion accessories, monogram items and gifts. Today, HandPicked continues to build upon its founding principles with a focus on making a positive impact locally and around the globe by offering a special group of merchandise through the Make A Fashionable Difference initiative. Each piece in this collection supports women, children and families in neighborhoods where we live and in cities all over the world.